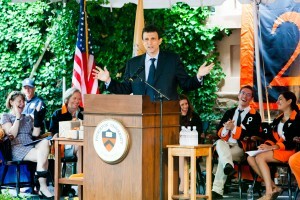 In a previous post we discussed the history behind commencement at The College of New Jersey and Princeton University. Here, we highlight the individuals and include links to video and news articles. For the years 2011-2016 each name will link to an individual streaming video courtesy of Princeton University MediaCentral. These are mobile friendly. 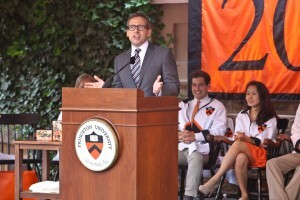 In his Class Day speech, Eisgruber (back at the lectern) joked that the real reason the senior class invited Nolan to speak was to settle the debate about whether Batman went to Princeton or Yale. 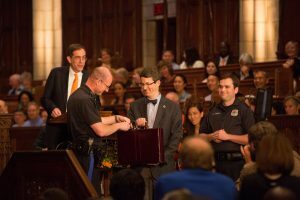 Eisgruber asked Mudd’s very own, University Archivist Dan Linke (center with briefcase) to help answer the question by presenting Batman’s secret alumni records. 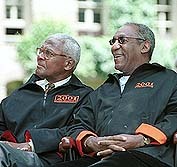 Class Day – Bill Cosby – This marks the first Class Day Speaker from outside of the University. 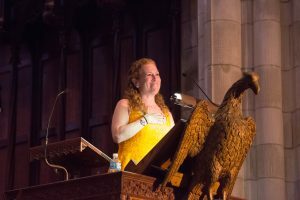 Previous to 2001 many infamous persons took the podium during the Baccalaureate Ceremonies. The following highlight a few of those. 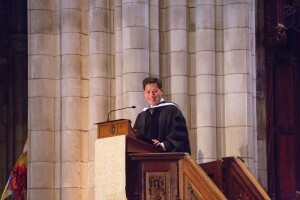 During this time the president of the University presides over commencement and typically gives the commencement address as well as speaks at Class Day. The Latin Salutatory speaker Thomas Wickham Schmidt broke tradition by including a marriage proposal to Anastacia Rohrman at the end of his speech. The event was also covered by NBC’s Today Show where Rothman and Schmidt were interviewed. 1998 Baccalaureate: Senator Tom Harkin and wife Ruth Harkin, senior VP at United Technologies Corporation. Parents of Amy Harkin. 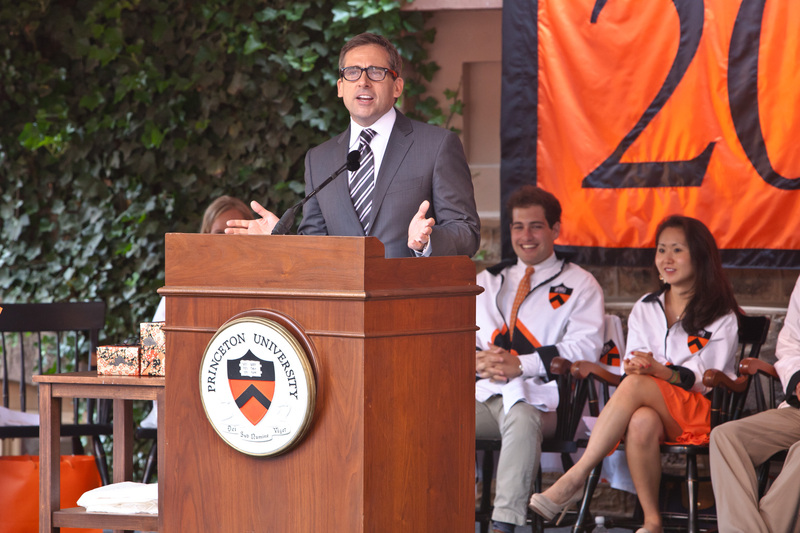 Both husband and wife spoke to honor 25 years of coeducation at Princeton. This is the first time that there has been two baccalaureate speakers. 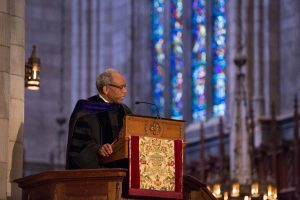 View the commencement in its entirety in this complimentary blog post. 1993 Baccalaureate: Garry B. Trudeau, Cartoonist. You may view the commencement in its entirety in an upcoming blog post. 1980 Baccalaureate: Michael M. Stewart, M.D. ’57, Commencement: William Bowen Minutes from the Senior Class Committee from January 13th, 1980 mention a sub-committee had been formed to find ways to expand Class Day. 1974 Baccalaureate: The Reverend Thomas P. Stewart, ’51. Until 1972, the baccalaureate speaker was the current President of the University. Beginning in 1973, outside speakers were invited. 1969: Representative from the Class Day Committee asks President Goheen to approve the re-institution of planting ivy with class year stone markers around Nassau Hall rather than the previous (expensive) tradition of breaking $200 worth of clay pipes. The representative also suggested that the message of planting rather than destroying is better for Class Day. Commencement: Unlisted. 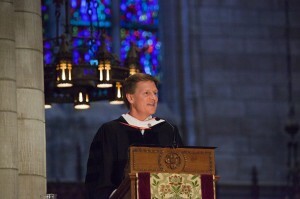 Baccalaureate: President Goheen. 1968: Many of this year’s events were modified due to the Assassination of Senator Robert Kennedy on June 4th. The Alumni parade was smaller and within campus, the baseball game and Triangle Club performances were cancelled. Commencement/Baccalaureate and Class Day President Goheen. February 22nd 1945 – Winter term exercises held again in Nassau Hall. This also marks the first graduation in two years where honorary degrees have been given. 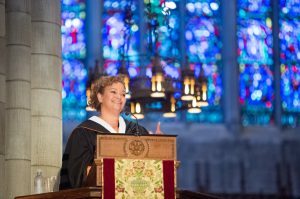 The address was given by the Head of the Faculty Robert K. Root and the benediction was given by the Dean of the University Council. June 23rd 1945 – Spring term exercises held on front campus. Address is given by Dean Christian Gauss. Benediction is given by Dr. Arthur L. Kinsolving. October 22nd 1945 – The smallest number of graduates have commencement held in President Harold Dodds office. 20 students are candidates for degrees. Only 11 are present for the conferring of the degrees. February 22, 1944 – 35 degrees given. Dr. Charles G. Osgood gives the commencement speech. Students in armed forces were instructed to wear uniforms while others wear the traditional cap and gown. April 4th 1944 – 36 degrees given in Nassau Hall. June 24th 1944 – Special Convocation for the Navy V-12 Unit was held on front campus. James V. Forrestal, Secretary of the Navy, receives an honorary degree. President Dodds also gave an address to the graduating members. 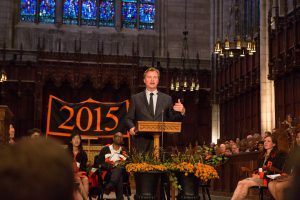 The 24th also included regular commencement exercises with the address given by Dr. Henry P. Van Dusen ’19. President Dodds gave concluding remarks. October 25th a small regular ceremony took place in Nassau Hall. 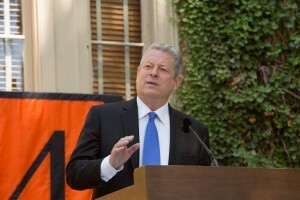 On January 29th and 30th Princeton observed its first winter commencement in almost 200 years. This was due to the 315 members of the 1943 class that sped up their courses so they could report to active duty. 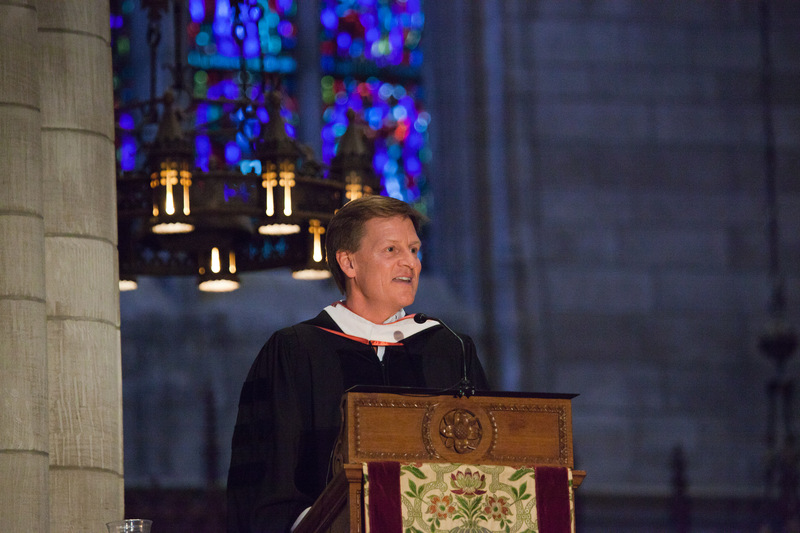 Commencement was combined with the baccalaureate address took place in the university chapel. Charles Scribner Jr. gave the Latin Salutatory and President Dodds gave the commencement speaker. The spring commencement was held on May 28th and 29th and would be the last formal commencement for the duration of the war. The class day customary exercises were condensed into one ceremony. 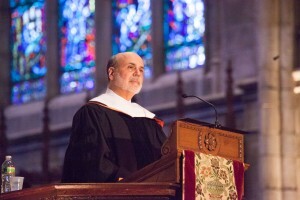 President Dodds gave his address at commencement as usual. The 4th and final commencement occurred on October 28th for 26 members of the Class of 1944. 1929 – View scenes from the Class of 1929’s commencement activities in this complimentary blog post. February 21st, 1920 86 Members of the Class of 1918 & 1919 graduates returning from War Service. Informal exercises were held in the Faculty Room of Nassau Hall. “This was the first time in in the recollection of alumni that graduation exercises were ever conducted at any other time than the spring of the year” The Daily Princetonian Feb 23, 1920. From 1792 to about 1918 the Valedictory, Salutatory and other speeches were given by students and members of the college. While details are few, the programs still include photos, schedules and class roll. These can be viewed here at the archives at Mudd Library and are located in the Commencement Records collection. This entry was posted in Collections and tagged baccalaureate, Class Day, commencement, graduation by Christa Cleeton. Bookmark the permalink. Thanks for your question. Commencement in 1771 was a very small affair, and we have few sources regarding the program for the day. Usually, graduating students were the speakers at Commmencement during that era.